Give your guests an experience of a lifetime by hosting your special event directly on the turf field! The field is where the action happens and with Turf Parties, guests have the chance to be a champion! Please note the turf is only down from mid-August to January during football season. To research date availability or to receive a customized proposal, please contact the Sales Department at (504) 587-3663 / (800) 756-7074 or email [email protected]. 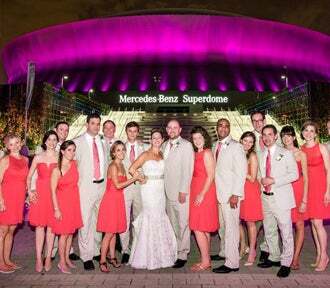 Centerplate is the exclusive caterer for the Mercedes-Benz Superdome. Centerplate's highly trained and award winning culinary team invites you to experience superior cuisine artfully blended with innovative presentation and style. Click here for additional information.